Size: 2.68 x 1.96 mt. A royal beauty, shimmering handcrafted work of timeless art. Artisans who have spent decades sharpening their skills, combine with delicate patterns to bring out this masterpiece’s vibrancy. 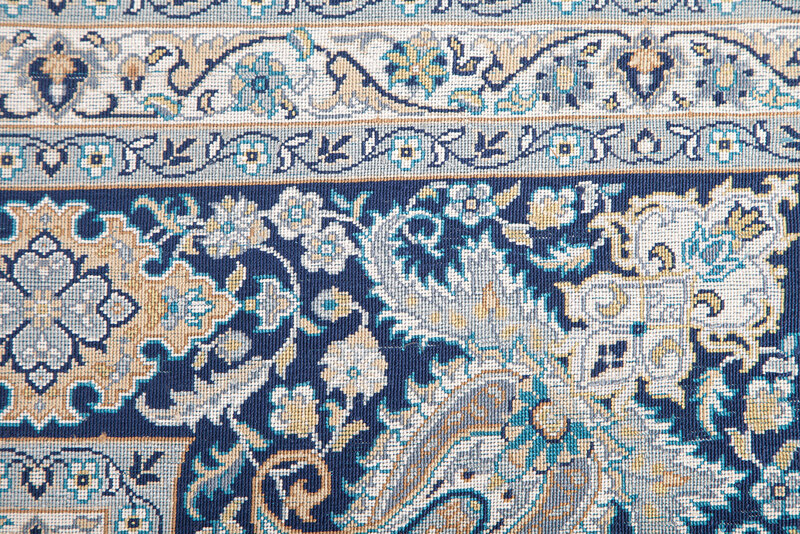 Carpet weaving in Anatolia has attained extraordinary levels, and can claim some of the finest hand knotted carpets in the world. 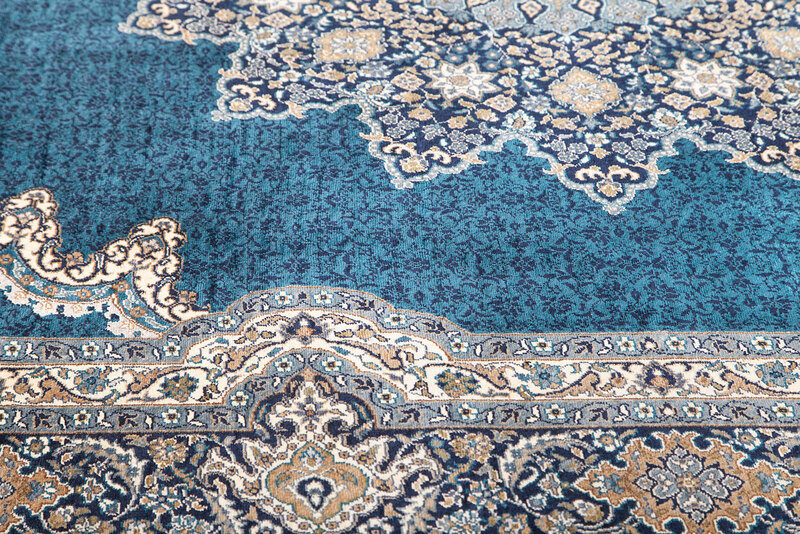 In Shahrazat silk collection the density of knots has been refined to achieve intricate carpets. 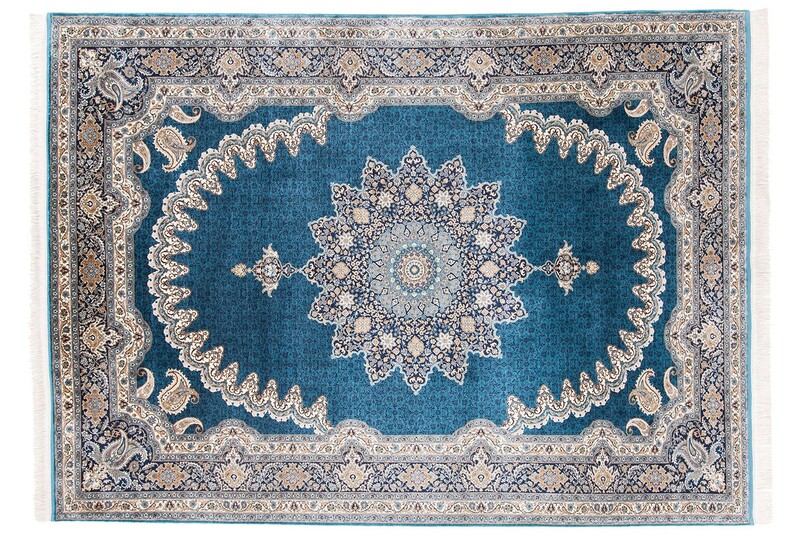 These rugs are great gifts for a loved one and a genuine collector's item, a true treasure. 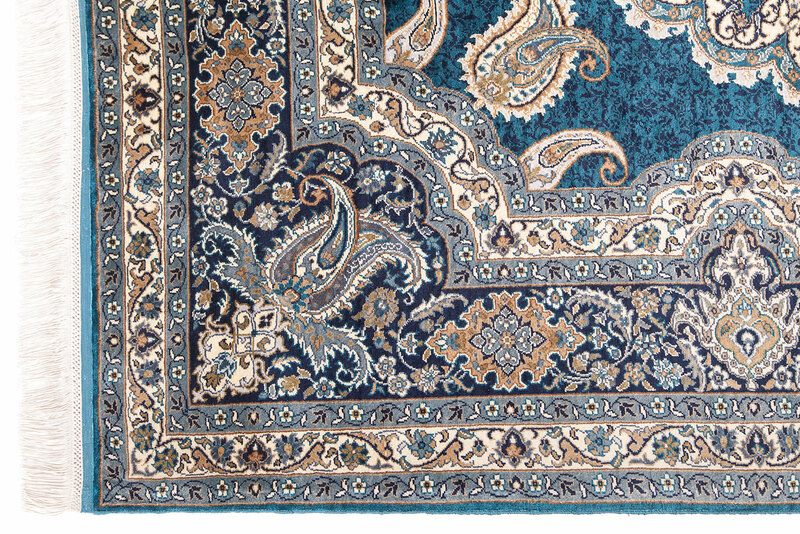 This is not a mass produced carpet, it was made at a village home in Turkey.